Every project shows a great enthusiasm of the contractor, the spiritual child that investors hoped will be noticed and welcomed by everyone. Each stage such as choosing the project location, Project planning, interior design, equipment, utilities, security, … are all interested investors, attention in detail and meticulous to make it complete to the maximum. Therefore, each project to customers is very complete and comfortable products. Two projects Melosa Garden and Thap Muoi Merita are two such projects. Because both projects are carefully invested by the owner, it is very difficult to choose which one is better between Melosa Garden and Thap Muoi Merita. Here are some criteria for us to get the most objective view on these two projects. Melosa Garden project space is considered as the green pearl of the city center because of its prime location creating a green space and airy. The project owns two facades overlooking the river. Moreover, the project is built right on the Vanh Dai Trong road, which owns a straight road linking the Long Thanh – Dau Giay expressway. Therefore, the connection to other central areas of the city as well as the surrounding areas is extremely convenient and fast. From here, customers can also easily connect to facilities outside the residential area such as: Tan Son Nhat Airport, Long Thanh, hospitals, public school systems, International schools, supermarkets, large shopping centers such as Vincom, BigC, Metre, Parkson, etc. It takes less than 15 minutes to connect to the locations mentioned above, making life so convenient. If the Melosa Garden project space is rated as a jewel in the center of the city, the Thap Muoi Merita project site is considered to be a golden land full of favorable factors. The front of the project is adjacent to the Lien Phuong street in Phuoc Long B ward, adjacent to the important traffic lane which can quickly connect to the city centers like District 1, District 2 … thanks to Long Thanh – Dau Giay. The satellites orbiting around the project such as hospitals, amusement parks, restaurants, shops, supermarkets … make the life of residents here very convenient, bustling. Space and location have one thing in common is the planning group of villas and luxury apartments in District 9 of Ho Chi Minh City as well as other types of famous projects such as Villa Khang An, River Terrace, Rivera Cove, … and many other names. The Thap Muoi Merita project offers a wide range of facilities to ensure that every resident of this area enjoys a quality, comfortable life. Facilities such as standard swimming pools, children’s playground, exercise area for the elderly … Not only that, the living space here is also designed by the investor in harmony with nature thanks to the park green projects, flower gardens, walk alternating… It contributes to the health and well-being of living space. The Melosa Garden project is not inferior to Merita because of the facilities that make life here relaxed, relaxed than ever. The Melosa project is equipped with classy spillways, gym and spa, badminton courts, tennis courts, green parks and jogging paths. There is also a chain of shops in the heart of the project such as coffee, Mini mart supermarket, health center, healthcare service. 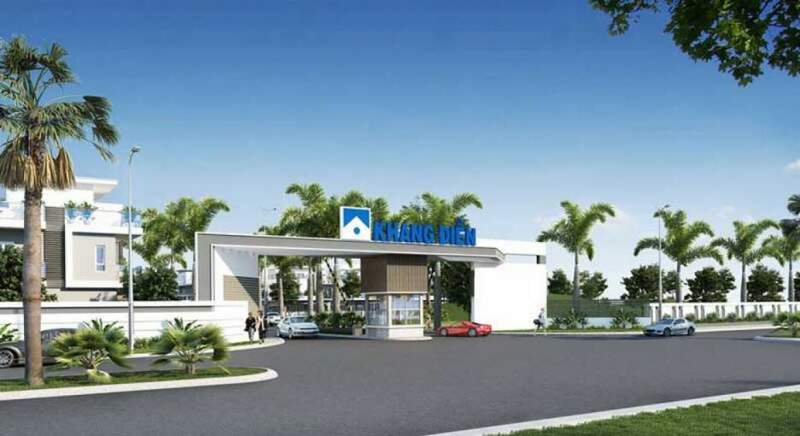 Khang Dien investor, with many years of experience, has created a high prestige as well as increasingly asserted the level and strength of their development through the project. Khang Dien is always the brand to receive the trust and high expectations from customers as well as professionals in the same field. Price is always a matter of concern to customers as well as one of the deciding factors when bringing customers to each project. Since both projects come from the same investor, the business that Khang Dien is aiming for is very attractive to customers. The Melosa Garden Khang Dien project has a 17 hectares plot of 422 townhouses, adjoining villas at the rate of $130,000/unit with an area of 172 sqm. Merita project with 131 townhouses vary in size, depending on the price of about $143,500 to$ 304,000 per unit. It can be seen that the price is quite favorable compared to the general premises as well as location and utility that customers can get from both projects. Looking back, one can assert that every project has very convincing advantages and it is difficult to make choices. However, there is a truth that everyone knows that no matter which of the two projects you choose, your quality of life will be elevated.